The new and improved PPS M2, now with Crimson Trace® Laser! How do you improve an already-outstanding CCW pistol? You preserve the heart and soul of the original while adding the features shooters have been asking for. With the PPS M2, Walther mixed in a friendlier mag release, added slide serrations, and—most importantly—upgraded the trigger. The new trigger is both smoother and faster to reset, so you can squeeze off a follow-up shot in less time. Not to be overlooked is the lack of an underside rail, which makes reholstering the PPS M2 much easier. The new PPS M2 is everything you're looking for in a compact handgun. 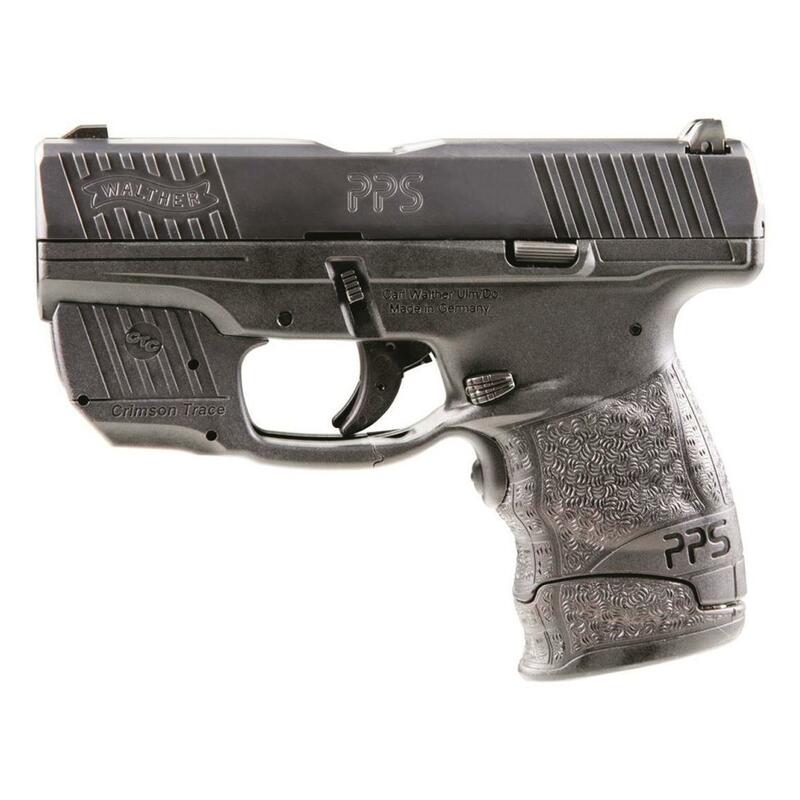 The slim profile (just 1" wide), push button magazine release, smooth trigger pull and Carl Walther signature ergonomics deliver the features that you want from Walther and are housed in a frame that fits just about anyone. This model comes with a Crimson Trace® LaserGuard Red Laser for lightning-fast targeting.